As publications consultant to the University of Miami School of Business from 2000-2018, Rochelle served as publisher and editor of the school's twice-a-year magazine for alumni, students, donors, faculty, staff and community. Members of the RB Editing & Writing team wrote for the magazine, copyedited it, assisted as managing editors and more. Rochelle oversaw a complete re-thinking and redesign of the magazine, worked with the school's executive director of communications to plan strategic and creative direction and worked with a web design firm to create a website for the magazine. To ensure that the magazine could best meet its many goals, she regularly interfaced with stakeholders including the dean, other administrators, faculty, key staff, alumni relations and development. In close collaboration with stakeholders, Rochelle planned each issue's content; hired and supervised the creative director, freelance writers and photographers; worked with the printer; and ensured the magazine's completion and delivery to more than 45,000 readers. 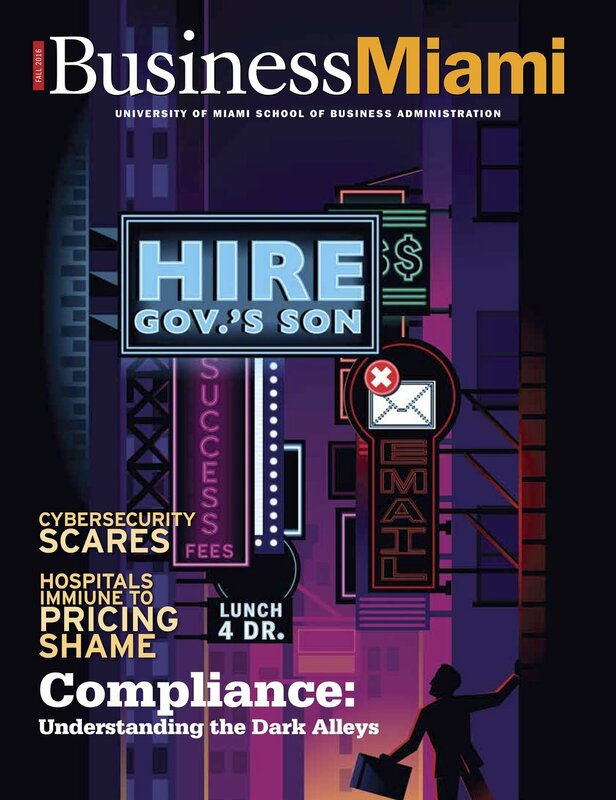 Click each image to view a PDF of the print magazine, or visit the magazine website at magazine.bus.miami.edu.